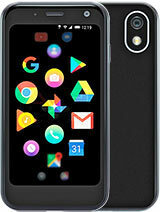 If Palm people would pull their heads out of their backsides they would make a mint by adding WiFI, A 3 Mp Camera and more internal memory, also upgrade screen to 262k colors. And STAY with the PALM OS instead of Windows Mobile. The Treo 650 is my favorite if they would add those things it would be the PERFECT phone. Guess Palm doesn't want to make a profit. Hi, I'm just curious after reading some of the reviews about mp3's being set as ringtones. I am waiting for my 650 to come in the mail and one of the main reasons I bought it was because I thought I could assign personal mp3's to my calls. Do I need this Ringo application or is there another way? THank you very much to anyone who can help me out. I use it as a bluetooth modem. Great for email etc. My palm 650 is the best phone I've ever had. You can use mp3 as ringtone or assign them to your contacts if you have ringo. Basically it does everything if you know how to use it properly. It has no 3G and cant be used as modem though; Other than that perfect! U can also record your own ringtone using the vioce recorder on the device. Yes the Treo 650 is fully compatible with Windows Vista using the standard Palm Desktop Sofware. I have a Treo 650 Black Tie and I'm runing Windows Vista Buisness, works great! i need to know if software Treo 650 is compatible with Windows Vista. The camera is not 2 megapixel it is a VGA (0.3 megapixel), but it is the best looking VGA I've ever seen. This phone Rocks!! I would appreciate if some one can post the wesite addresses, where i can find the software and some playable Good games for FREE.. Yes, you must perchase "Ringo" to use MP3 ringtones. You can assign ringtones(Polyphonic) to contacts without "Ringo" by placing them as one of your favorties in the phone application. somethings wrong with the data, first of all, you cant use MP3 as a ringtone. 2nd of all you cant assign ring tones to contacts. The Treo 650 is Class 10 EDGE (which is capable of up to ~384 kilobits/sec. It's still one of the BEST phones out there considering the iPhone and Blackberry Curve are both only EDGE class 10 as well. Of course, the iPhone is major iCandy, but for functionality, I still use the hell out of my Treo 650. Does the Treo 650 support MSN or Windows Live Messanger? Correct me if I'm wrong but dosen't the Treo 650 have Class 10 EDGE like the Treo 680? I don't know of any new Treo or Palm smartphone coming out. The Treo 650 Black Tie Edition rocks!! hi.. was using palm for long time and hope for palm to realease new model or updgrade in term of form factor.. like the se P1.. any plan ?? While surfing the net, if you happen to get a call or press the menu button etc and later on return to surf again, (unlike Nokia)the last webpage is gone. I am once again directed to my home page. This is rather frustating. Nokia on the other hands keeps downloading the last page I was viewing and retains it. Is there a solution to this please !!! The Treo 650 is the best Treo ever. has better battery than the 680, and better screen resolution than the 750. You can add Wi-Fi via the "Enfora Wi-Fi Sled for Treo™ 650" it's avalible for $149, check it out.